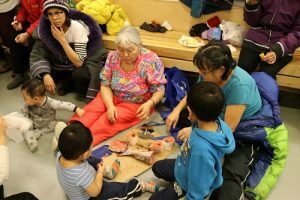 This was a special community celebration and feast. 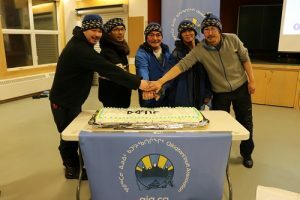 We not only wanted to update Arctic Bay on the work the QIA team had accomplished on the Tallurutiup Imanga Inuit Impact and Benefits Agreement, but we also wanted to celebrate the Uattijiit Pilot Program. 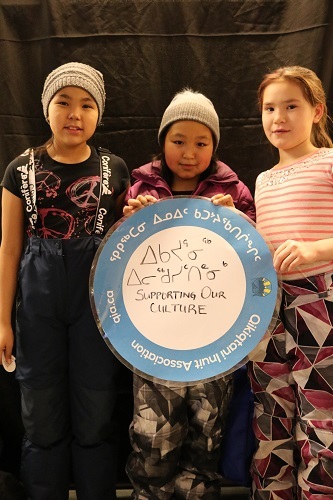 This Inuit Stewarts program was established by QIA in July with funds from Parks Canada. 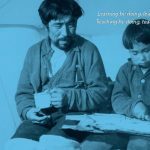 It’s an early IIBA Benefit for the Tallurutiup Imanga National Marine Conservation Area. 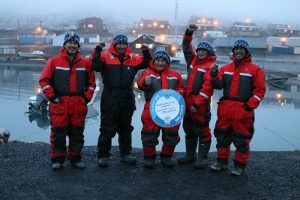 The Program employs five Uattijiit who monitor the waters near Arctic Bay. 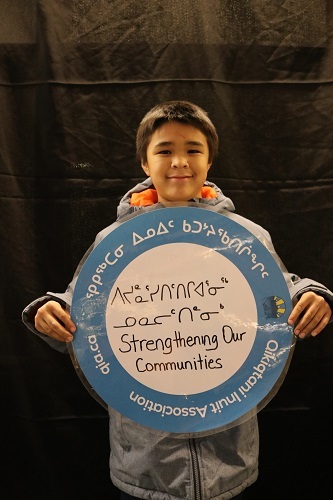 The community in Arctic Bay was in full-celebration mode last week. 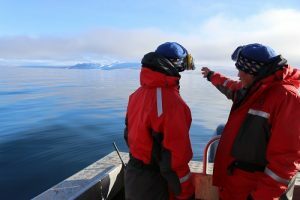 The Uattijiit went harvesting and caught seals and char. 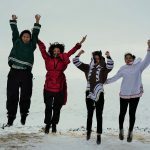 A local hunter shared his makttuk and a baker made two huge cakes to celebrate the Uattijiit. 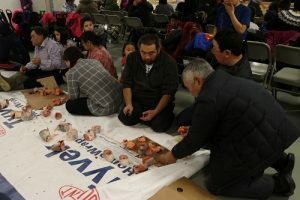 We spent a lot of time eating, laughing and drawing for awesome prizes including a laptop. 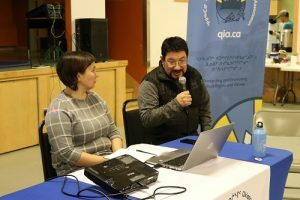 The meeting also provided an opportunity for QIA’s Chief Negotiator, Sandra Inutiq to share information on QIA’s work on the Tallurutiup Imanga IIBA negotiations. 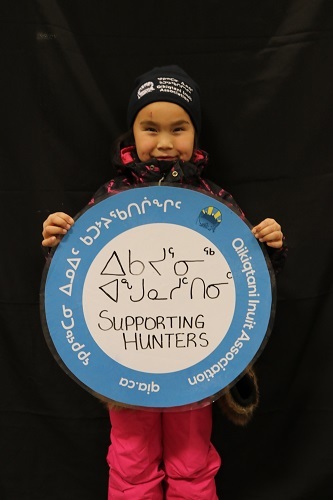 As part of her update Inutiq shared a video QIA created about the Uattijiit, which was greeted with a enthusiasm and cheer. 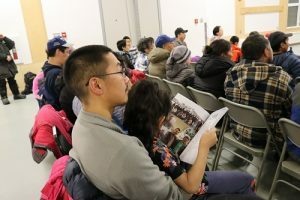 Earlier in the day, Inutiq led a similar meeting with the hamlet council, members of the Hunters and Trapper’s Association and the Community Lands and Resource Committee. 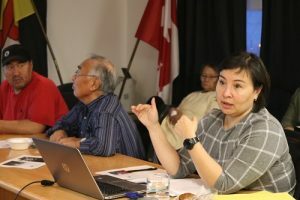 There was a great deal of excitement at the focus meeting for QIA’s work on the IIBA and efforts to secure marine infrastructure and good jobs for Inuit. 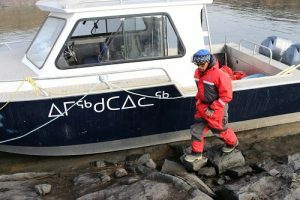 The Tallurutiup Imanga IIBA is scheduled to be negotiated with Parks Canada by April 2019.